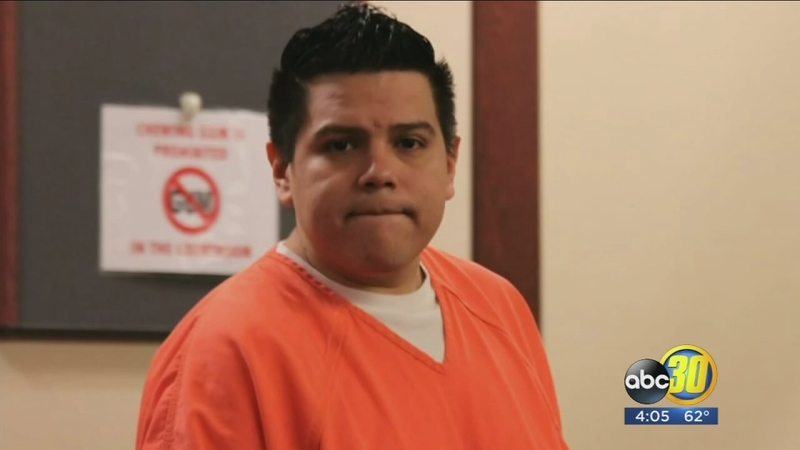 MERCED, Calif. (KFSN) -- Jose Ortiz, the Merced Man who pled no contest to killing his girlfriend, was sentenced to more than a decade in prison. "This is a case I'm going to remember for the rest of my career-- it's heartbreaking," said Kevin Little, Defense Attorney. Ortiz pled no contest to voluntary manslaughter for the death of his girlfriend Catrina Martinez. In December 2105, paramedics responded to the couple's apartment after Ortiz called saying Martinez was not breathing-- she died hours later. "Basically the defendant sat on his girlfriend to the point where she died by asphyxiation," said Thomas Minn, Prosecuting Attorney. The victim's family gave their emotional statement, displaying a picture of Martinez and the couple's four-year-old son as they spoke-- briefly pausing to choke back tears. The family stated that they will never forgive Ortiz for taking their little girl, and that, "You're not sorry, you're just sorry your plan didn't work." The victim's family tearfully left the courtroom, saying they did not want to hear what Ortiz had to say. He spoke shortly after they left, saying he wished the victim's family was still in the courtroom to apologize and never meant for any of this to happen. He stated he still loves Martinez, and that his son lost a mother while he lost his best friend. "I truly believe the young man who sentences was remorseful and did not intend what happened, but he is prepared to live with the consequences and move in and try to move on with the rest of his life," said Little. Ortiz will serve the maximum term of 11 years for the charge. "Based on the evidence and the autopsy, we believe it was a just resolution," said Minn.
Minn said Ortiz has prior minor past charges of domestic violence.